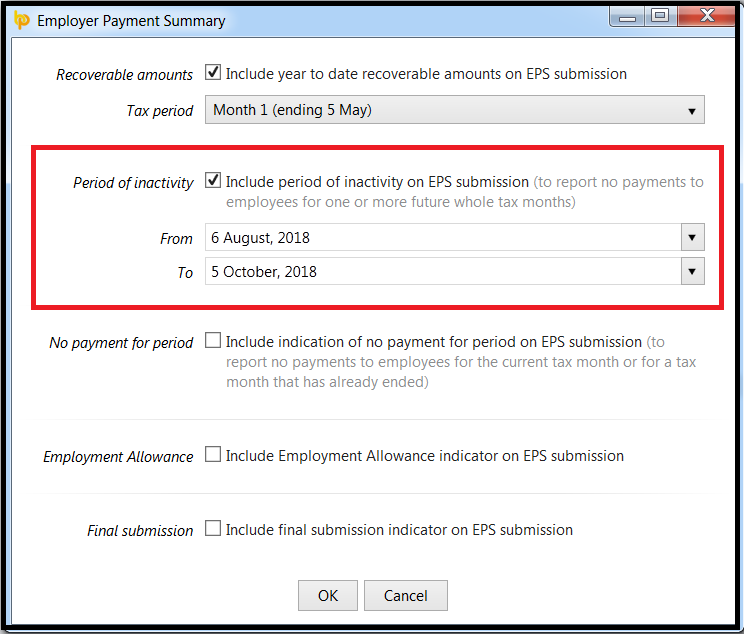 If you won’t be paying any employees in the future for a minimum period of one tax month, and a maximum of 12 months, this must be reported to HMRC using the Period of Inactivity indicator on the EPS. 1) Select 'RTI' on the menu bar. 6) Click 'OK' and submit to HMRC when ready. Please note: the 'period of inactivity' utility can only be used to report future periods of inactivity in advance to HMRC. 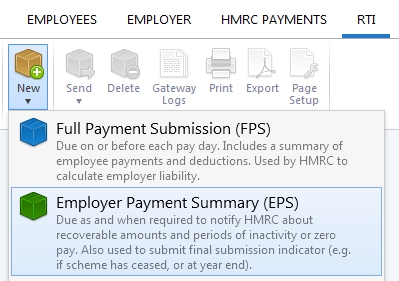 To report no payment for a current or previous tax period, a 'no payment for period' must be completed instead on the EPS. For assistance with this, click here.